Tricovel® vials should be used when hair is dull, thin, weak and fragile, problems that often precede hair loss which is associated with stress, change of season or unbalanced diets. Tricovel® vials is a topical treatment that delivers Biogenina® through the scalp. It uses the same active ingredient as Tricovel® Tablets. Tricovel® vials is a convenient topical option to use as an alternative to the Tricovel Tablets. Increases hair in the growing phase, improves hair structure and prevents hair loss. 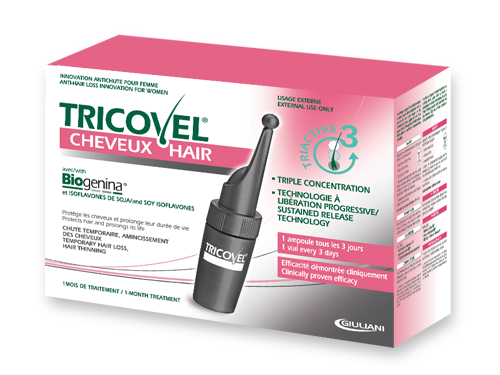 Tricovel® in vial form is a treatment with Biogenina® and the innovative Ajugenil® complex to act quickly on the hair bulb, counteracting hair loss and improving general hair condition. It does not leave hair oily or limp. 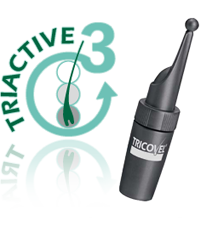 The exclusive Triactive3® Technology, allows to apply the product only once every 3 days. 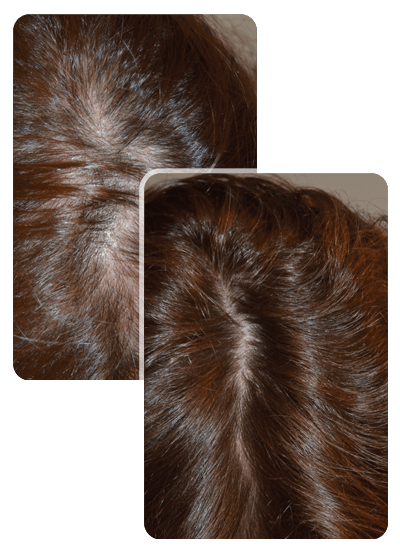 Biogenina® (registered patent) Is quickly absorbed by the scalp. Activates specific receptors on the external epithelial shaft of the follicle. Stimulates the activity of the dermal papilla where the hair originates. Biogenina the patented complex that contribute to the correct activity of the bulb, prolongs the hair growth phase and give nourishment and strength to hair. Apply the content of a vial onto the scalp and gently massage it in. Do not rinse. The product can be applied on dry or damp scalp. Apply once every 3 days. The recommended treatment cycle is 3 months. The content of Tricovel vials doesn’t leave hair oily or limp. 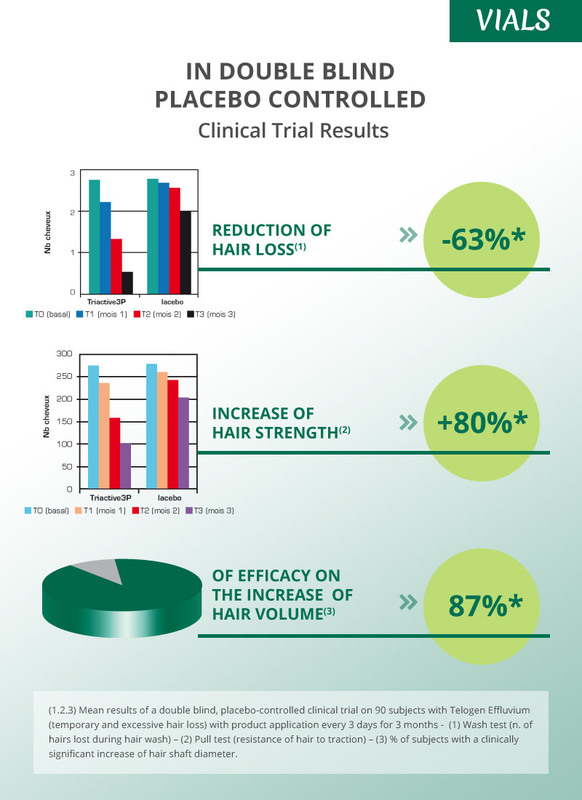 Clinical trials prove that the application of Tricovel® vial with Biogenina® counteracts hair loss, increases hairs in the growing phase and improves hair structure.